The Hermosa Beach Police Department presented their statistics on inmates in their jail who were served with ICE detainers at the Truth Act Community Forum. In 2017 BEFORE THE CALIFORNIA SANCTUARY LAW, the Hermosa Beach Police Department was served with 4 ICE detainers and honored all 4 ICE detainers. That means the illegal aliens upon release from police custody were then transferred to ICE detainment. It was stated during the presentation that in 2017, the police department released a criminal alien who was charged with a firearm violation and attempted murder. When this illegal returned 2 days after release from jail to retrieve his car, the police department had notified ICE as ICE had presented them with a detainer. ICE took custody of the criminal alien. However, the Hermosa Beach Police Department was informed they had violated California state law because the criminal alien was no longer in custody of the police and the police department had notified ICE of the illegal alien’s location. ICE provided a detainer request rather than a warrant signed by a judge. So the police department was held accountable for violating state law. In 2018, the Hermosa Beach Police Department was served with 5 ICE detainers and did NOT honor even one of them because none of the crimes “qualified” as meeting the standard of the new 2018 Sanctuary State Law crime whereby ICE can take custody of an inmate upon release from jail. So this means in 2018, the Hermosa Beach Police Department released 5 criminal aliens back into the community and turned no criminal alien over to ICE because of the Sanctuary State Law. When the acting police chief and Lieutenant Landon Phillips were asked about the Sanctuary State Law, they would reply that it is the law and that they have to obey the law. Both of them indicated that they were completely following the Sanctuary State Law within their jail system. 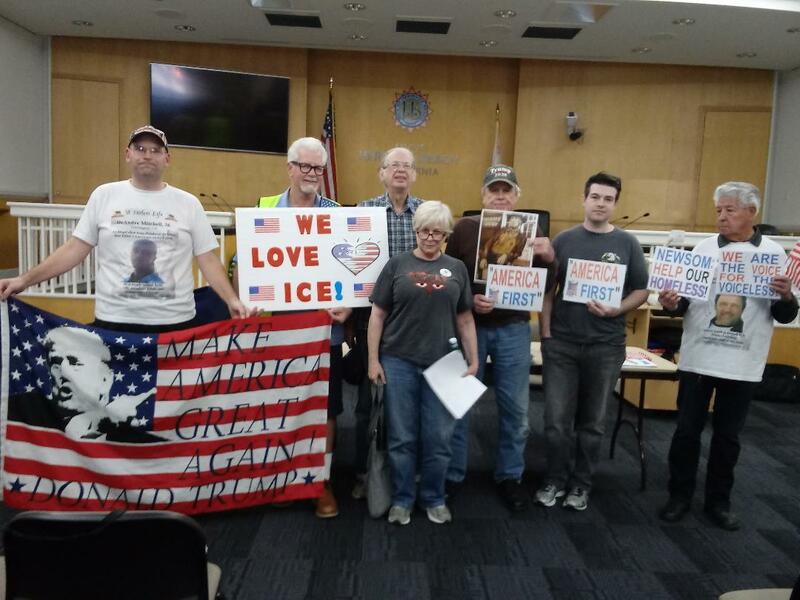 SUPPORTERS OF ICE IN THE AUDIENCE GRILLED THE REPRESENTATIVES OF THE HERMOSA POLICE DEPARTMENT AND PROVIDED MANY SUGGESTIONS, SUCH AS POSTING THE RELEASE DATES OF INMATES ON THE CITY WEBSITE. FRANKLY, THE OFFICERS SEEMED TO IGNORE THE CONCERNS OF THE CITIZENS AND WERE FOCUSED UPON PROTECTING ILLEGAL ALIEN CRIMINALS UNDER THE SANCTUARY STATE LAW: THUS, THE TERM ILLEGAL ALIEN PRIVILEGE. DHS Secretary Nielsen announced a renewed effort aimed at the Central American migrants crossing the U.S. border to not be released into the USA but rather wait in Mexico until their court date. Today, Homeland Security Secretary Kirstjen M. Nielsen issued a memorandum to U.S. Customs and Border Protection (CBP) Commissioner Kevin McAleenan outlining new steps the agency must take to combat the growing security and humanitarian crisis at the southern border.